Day two was another fierce day of completion where the students had lots to do. They first had their engineering judging where they had to talk to the judges about how the car was designed and manufactured. We then had our scrutiny review and I am pleased to say that the car was we believe the only one in the completion not to break any of the rules and lose 0 points which is a huge achievement. 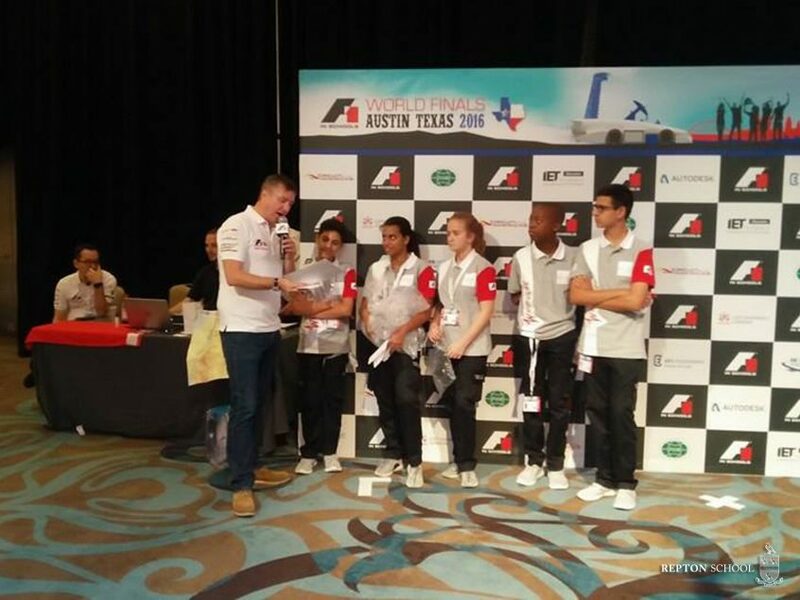 They then had their verbal presentation where they had to present to a panel of judges about their F1 in schools experience. The day was completed with the time trials race. The car ended up mid table in terms of speed in a day where the world record was broken 3 times. Our car went down the track in 1.092 seconds and the first place team recorded a time of 0.916. If we can improve by 0.002 of a second we will jump up 10 places in to the top ten so this is how close things are the world finals. The kids are holding their own being the youngest team to compete, although Mr Moore and I are exhausted.